Smalltalk is the object-oriented programming language that Mercap and other institutions use as a base for the development of their solutions. 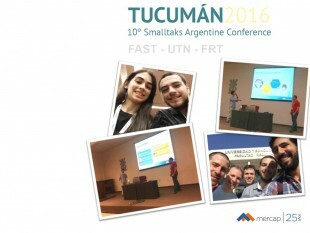 Each year, the Argentine Smalltalk community, which is presided over by the Argentine Smalltalk Foundation (FAST, due to its acronym in Spanish), organizes a conference for companies, professionals and students to share new ideas, methodologies and applications for this language. This year, the event was held at UTN Tucumán during the 9th, 10th and 11th of November.